Following its promotions of Jamaican cosmetics in London, the Jamaica Promotions Corporation (JAMPRO) will lead a trade mission to the Bronner Brothers International Beauty Show in Atlanta, Georgia between August 19 and 21. Eight Companies will be part of the delegation to the event, which hosts over 30,000 beauty professionals yearly who explore the newest and most exciting beauty trends and products. Six of the companies will be focusing on the promotion of Jamaican Black Castor oil products, as JAMPRO strengthens its strategy to develop the castor oil sector. The Jamaica Manufacturers Association (JMA) will also join the mission to support the companies. 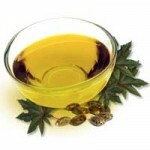 This entry was posted in Castor OIl - Companies and tagged castor oil, castor oil companies by Gayathri. Bookmark the permalink.